Original Chili Cheese Dog only. Regular size Classic Chili Cheese Fries only. At participating locations. Limited time only. Tax extra. Original Chili Cheese Dog only. Regular size Classic Chili Cheese Fries only. At participating locations. Limited time only. Tax extra. per Mom per day. Does not include Real Fruit Lemonades or Shakes. Not valid with any other discount. 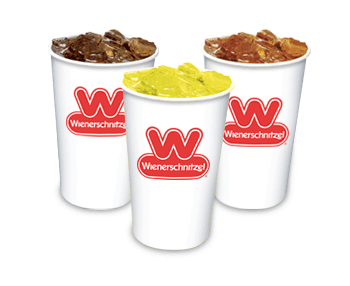 Offer valid May 12, 2019 at participating Wienerschnitzel locations only. Limited one free Original Chili Dog, Small Fries & Small Soda per Mom per day. Does not include Real Fruit Lemonades or Shakes. Not valid with any other discount.